The Marine Division of Achilles USA, Inc. is unique in that we sell the only truly “branded” product of our company, Achilles Inflatable Boats. The boats that we manufacture in Japan, and to a lesser degree in the very recent past, in China, are the only finished products that actually are sold as an Achilles brand. For this reason, it is a very important part of the company’s history, and it offers a great sense of pride to our parent company in Japan as well. Achilles Inflatables are manufactured using chlorosulphonated polyethylene, or CSM fabric that is made by the Achilles Corporation in Japan. CSM is a synthetic rubber compound that is used in the outer coating of our material. Because of the physical characteristics of CSM, it can not be heat welded. All of our boats need to be glued by hand. 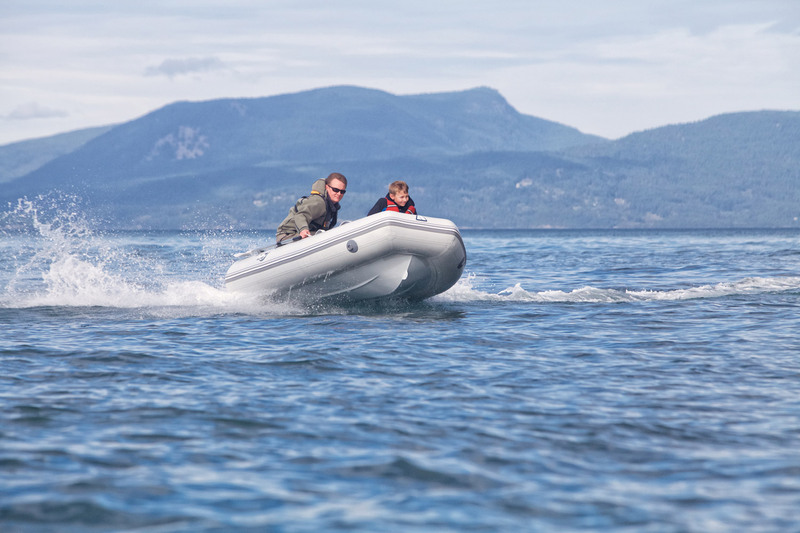 The reason we continue to use CSM despite its cost (both as a fabric and because of the increased labor costs for producing a hand made product) is because it has historically proven to be perhaps the best material for the manufacture of inflatable boats. The reasons the fabric performs so well include, but are not limited to: UV resistance, abrasion resistance, and resistance to oil and gas – all things that boats are subject to in the marine environment. CSM fabric is manufactured by a calendaring process, and our final product consists of four layers. There are two inside layers of chloroprene for air retention, a supporting layer of core fabric (either Nylon or Polyester), and an outside coating of CSM. It is a multi-step process, and the end result is a very strong supported fabric. Many of our competitors use PVC based fabric for manufacturing their boats because of the cost savings involved in materials and manufacturing. There are many boats on the market similar to ours available at half the cost. Although this makes our efforts to sell against our low cost competitors challenging, it is actually a good sales and marketing tool for us to state that despite the fact that Achilles is a world leader in the manufacture of PVC, we still make our boats out of CSM because we believe it is a better fabric.